Are you still using liquid makeup? You may want to reconsider. You can do so much more with mineral loose powder makeup if you know some really good tips for better application. Mineral makeup (most) is better for your skin and if done right, it can provide a beautiful, flawless skin transformation. Most makeup sponges aren’t separated from the actual product and most are not cleaned properly or often enough. Sponges carry germs and harmful bacteria which can lead to skin break outs and exacerbate acne and rosacea conditions. Purchase a nice set of makeup brushes and use those for makeup application instead. Try not to mix colors, shades or textures using the same brush. A good, synthetic flat top brush with dense, soft bristles and a short, chunky handle are often best for mineral loose powder foundation as they hold the powder without fly away and allow you to effortlessly “buff” the powder onto the face which is really what gives the makeup a flawless, airbrushed look. You should always start with a clean, dry face before applying mineral makeup and even if you’re OILY, you should moisturize lightly with a lightweight lotion, preferably one with a good broad spectrum SPF factor. If the moisturizer you’re using leaves your face feeling oily or greasy 5-10 minutes after application, then you probably need to find a lighter formulation. A lot of people tell you to pour the minerals into the lid of the jar but repeated use in this way can cause bacteria to grow between makeup applications. 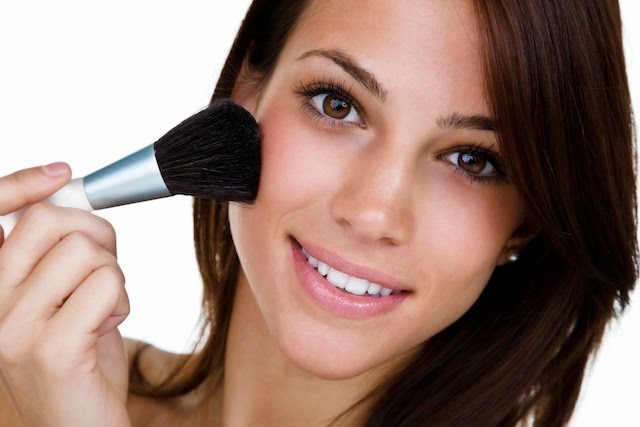 Swirl the brush into the powder and tap off the excess before applying to the face. (This is called “loading your brush). Good mineral makeup is usually highly and naturally pigmented with a silky texture when swirled, so a just a little bit goes a very long way. You want to use as little powder as possible for your initial first layer application and buff the powder into the skin until you’re left with a silky, covered canvas. You can use a translucent mineral powder or a good concealer (Shea Butter Cream) prior to application to help cover scars, spots, or other annoying blemishes. Get into the habit of using a Taklon concealer brush to apply these too. WAIT 5 to 10 minutes AFTER your first full layer application so that loose powder can warm up to the skin and settle. A lot of women apply the makeup and immediately figure their shade is too light or the coverage isn’t as flawless as they’d like and often switch shades too quickly or proceed with another layer. Give your mineral makeup some time to warm and develop and check the look at least 10 minutes later when applying a shade for the first time. You might be happily surprised with the color and coverage if you just give it some time. Most of the time, you won’t need a separate lip and eyelid primer if you have the right mineral foundation. Don’t forget to lightly dust your lids and lips thoroughly before applying lipstick, gloss, liner and eye shadow. You need to begin adding color when you have a flawless, all one color canvas. Lipsticks and eye shadows will not look as brilliant or last as long without some type of primer before application. 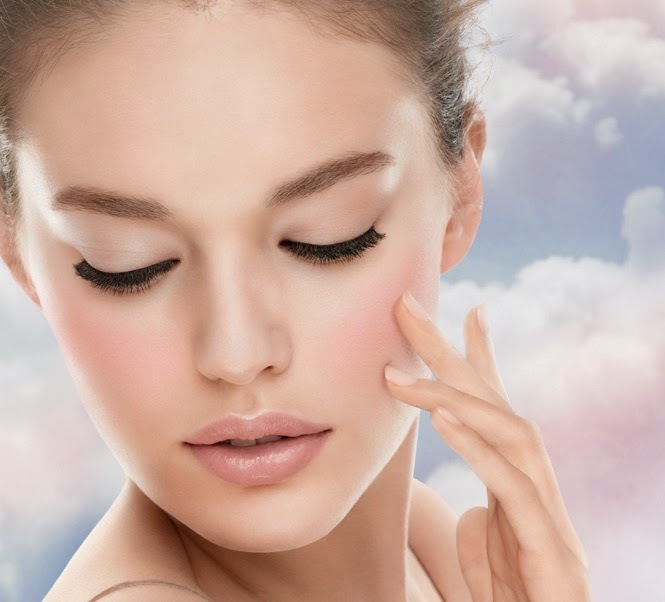 An oil control primer powder or finishing powder veil will help to set the makeup, hide and reduce the appearance of fine lines and wrinkles and control facial oil production for hours. You won’t find a need to “powder your nose” throughout the day as the makeup will stay cool and flawless and colors will be less likely to fade or wash away by lunch time. If you like a good healthy, natural glow- dust a light pink or warm toned blush or bronzer over your face or throughout your T-zone, cheeks and neck area. I prefer a pink copper bronzer with a hint of a satin finish to complete the look. There is absolutely nothing you can’t do with mineral loose powder makeup because they’re so versatile. Find a good makeup, without cheap fillers and preservatives. Look for those with silk powder and crushed pearl powder, vitamins, zinc and iron oxides for color. A healthy makeup should have 5-6 ingredients and no more than that.